NEW YORK, NY, June 20, 2017-Intellectus Partners today announced that the firm has expanded its leadership team with the addition of Alice Wu as Head of Asia Pacific Region, Wealth Creation & Preservation. Ms. Wu joins Intellectus Partners from Robertson Stephens where she was a Managing Director and President of the Asia Region. Ms. Wu will be based in the San Francisco office and will report to the CEO of Intellectus, David J. La Placa. In this new role, she will take the lead on the firm's expansion into covering entrepreneurs and public executives in their cross border, Asia (and China specific) initiative that the firm is accelerating. "We see tremendous opportunities in serving entrepreneurs in building a systematic approach to wealth creation and preservation in the Asian and Asia-US market,” said Mr. La Placa. "Off-shore and cross border entrepreneurs face steep challenges in managing their complex businesses. By adding Alice's decades of Asia cross border expertise, we have created a one of a kind service model." 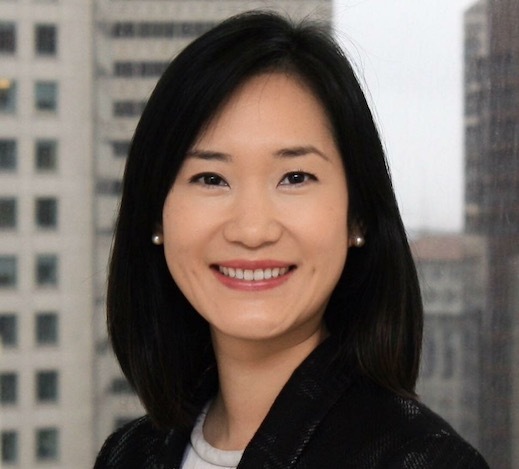 Prior to joining Robertson Stephens, Alice Wu was a Vice President with Credit Suisse Securities (USA) LLC in San Francisco. She advised wealthy Chinese individuals and families in the United States as well as provided institutional-level customized financial solutions to her clients in Asia. Before Credit Suisse, she was with Morgan Stanley Private Wealth Management in San Francisco. Ms. Wu has earned two Masters Degrees, one in Business Administration from New York University and another in Public Health from Boston University. Her Bachelor of Science is from National Taiwan University. In addition to her career in financial services, she was an Associate Director at The Asia Foundation advising Trustees and donors on their philanthropic activities in Asia. Before receiving her MBA degree, Ms. Wu had a career in public health working at Massachusetts General Hospital, where she conducted bio-statistical analyses and co-authored research articles in medical journals. Intellectus Partners has offices in San Francisco and Los Angeles. The firm has created a broad service provider network that spans the entire Lifecycle needs of entrepreneurs, their businesses and their families. Intellectus Partners is a Dynasty Financial Partners' Network Advisory Firm. Dynasty is a platform of integrated wealth management services and technology. Intellectus leverages Dynasty's middle and back office capabilities, including technology, managed investments, institutional research, trust and insurance services and credit facilities.